June 15, 2011 - With airline fee collections skyrocketing to historic highs according to data released on Monday by the Department of Transportation, the American Association of Airport Executives (AAAE) questioned the continued opposition of U.S. carriers to an increase in local passenger facility charges (PFCs) needed to fund necessary infrastructure upgrades at the nation's airports. "While airports understand and appreciate the need for our airline partners to remain viable financially, the carriers' continued opposition to an increase in the local passenger facility fee is both shortsighted and inconsistent given the airlines' increasing reliance on ancillary fees to support their own operations," AAAE President Chip Barclay said. "With ancillary fee collections growing rapidly and producing billions in airline revenue, it's difficult to understand why the industry opposes the collection of a mere fraction of that amount by local authorities to fund critical airport safety, security, and capacity improvements." In 2010, U.S. carriers collected $5.7 billion in baggage and reservation cancellation/change fees alone according to DOT. The $5.7 billion figure does not include billions in other airline ancillary fees, such as pet transportation, sale of frequent flyer award miles to airline business partners and standby passenger fees, on which DOT has yet to finalize data for 2010. 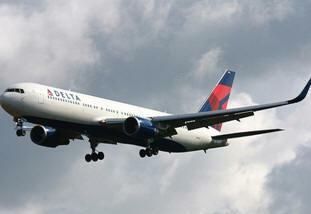 In 2009, airline ancillary fees totaled $7.8 billion. In contrast to the dramatic increase in the collection of ancillary fees by U.S. carriers, which has grown by more than $2 billion annually in recent years, the federal cap on PFCs has not been adjusted in more than a decade. Adding to the problem for airports is the decline in purchasing power that those revenues produce because of construction cost inflation. AAAE has asked Congress to increase the PFC cap from $4.50 to give airports the tools they need to meet current and future demands. AAAE reiterated its support for a PFC increase in a letter to Congress on Tuesday. "Airport infrastructure needs are well-documented as are the serious hurdles that airports face in trying to meet those needs," Barclay said. "In the face of growing federal budget constraints, PFCs offer critical, local self-help to build the infrastructure that is necessary to serve the airlines and the traveling public now and into the future. Unfortunately, some of our airline partners are so focused on the next quarterly financial report that they have lost sight of the long-term needs of the system needs that may not be met in some locations absent a modest increase in the PFC." Barclay also noted the impact that the increased reliance by airlines on ancillary fees is having on revenues flowing to the Airport and Airway Trust Fund, which supports aviation system upgrades including airport improvements. Historically, airline tickets have been taxed to help finance the aviation system, but baggage fees and other ancillary revenues are not taxed in the same manner. The shift in the airline pricing model away from ticket price increases to a more heavy reliance on ancillary fees effectively robs the Airport and Airway Trust Fund of revenue that would otherwise support airport and aviation system improvements.